The Singapore Symphony Orchestra, under its music director Lan Shui, made their debut at the Dresden Music Festival on Saturday 28 May 2016 when they performed a concert in Dresden's Frauenkirche. 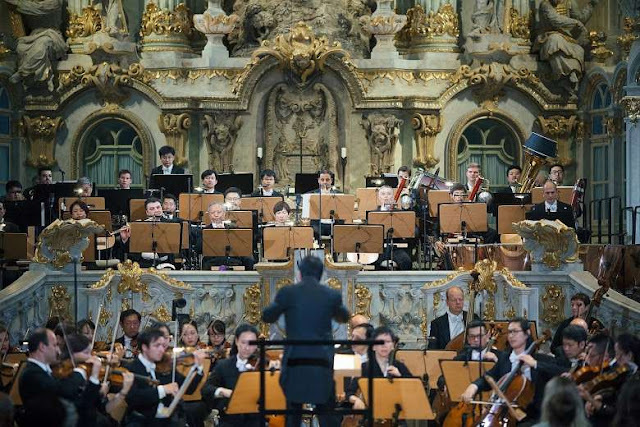 The programme included the European premiere of Chen Zhangyi's of an ethereal symphony, Mendelssohn's Violin Concerto in E minor, Op.64 with violinist Gil Shaham, Schoenberg's Verklärte Nacht and Ravel's La Valse. The concert started with of an ethereal symphony by the Singaporean composer Chen Zhangyi, which was commissioned by the orchestra. Starting with long held notes and rhapsodic instrumental lines, the work was all clarity and lightness as Zhangyi made his music seem to hang in space. There was a climax, but it was the journey rather than the destination that was important with some really magical textures. It was one of those works which, though with its own identity, reminded me of past influences including Mahler, Strauss and perhaps Debussy. Ultimately a concert opener which showcased the Singapore Symphony Orchestra's elegantly refined sound, though I did wonder whether it could have had more sense of dramatic flow. Ultimately I did want it to go somewhere. From the opening notes of Mendelssohn's Violin Concerto in E minor we could admire Gil Shaham's sweet, elegantly narrow tones supported by the transparent orchestra. This was certainly not one of those performances which was too string heavy in the modern, late Romantic manner, and overall there was a lovely sense of classicism about the performance. Lan Shui's speeds were fluid and flowing, with he and Shaham taking the music at quite a speed. The delicacy of Shaham's playing in the second subject was nicely complemented by the transparent woodwind passages, though there were moments when the orchestra covered Shaham's quiet passagework. 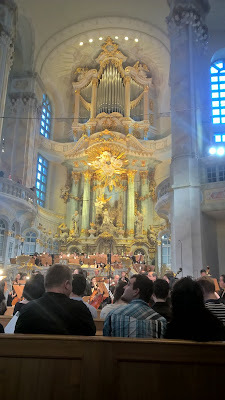 But in an acoustic as generous as the Frauenkirche that was perhaps inevitable. The second movement was quietly sung by Shaham, with not too much vibrato and a feeling of classical poise. In the third movement we could appreciate the way Lang Shui made lots of the details in the orchestration tell. There was stylish playing from Shaham, sweetly adept with an element of the fairies about it. Throughout the performance we were aware of Shaham responding to the orchestra, even in the passages where the soloist was not playing. As an encore Shaham played Bach's 'Gavotte en Rondeau' from the Partita in E major, BWV1006. The final item in the programme was Ravel's La Valse, the 1920 work which Diaghilev rejected saying it was 'not a ballet. It's a portrait of ballet'. The performance was elegantly vivid with a lovely sense of detail and a hauntingly veiled sound. The orchestra could transform the sound from transparent delicacy to passionate intensity and back to diaphanous. Lang Shui and his orchestra gave us much to admire, but again their performance seemed more about texture than dramatic content. La Valse is surely a picture of a world on the edge of the abyss, and the performers never really gave us this sense. 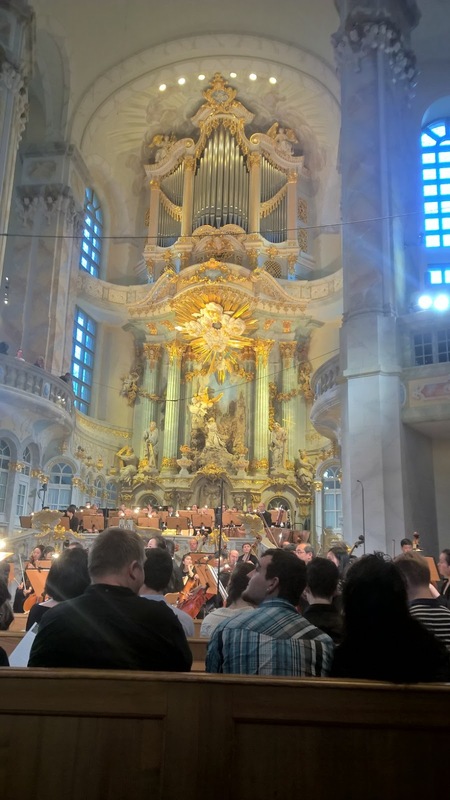 One of the delights of the Dresden Music Festival is the way it showcases Dresden's historic buildings, and hearing a concert in the restored Frauenkirche is quite an event. I was not convinced that Lan Shui's programme made ideal use of the acoustic. But there was a visual distraction too, the huge Rococo altarpiece dominated the space, and there was a sense that any performance had to compete with this. Perhaps the best response to both these problems was the elegant classicism of Gil Shaham, Lan Shui and the Singapore Symphony Orchestra's account of Mendelssohn's violin concerto. The programme seemed designed to show off the orchestra's varied talents, yet it did not quite coalesce into a satisfying whole though there was much to desire. It took the orchestra's encore, selections from Richard Strauss's Der Rosenkavalier Suite, to send us home with smiles on our faces. You can see a fragment of the Strauss performance on the medici.tv website.